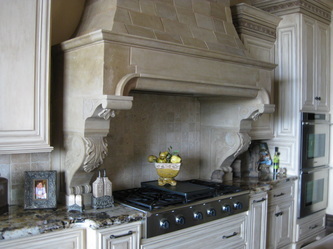 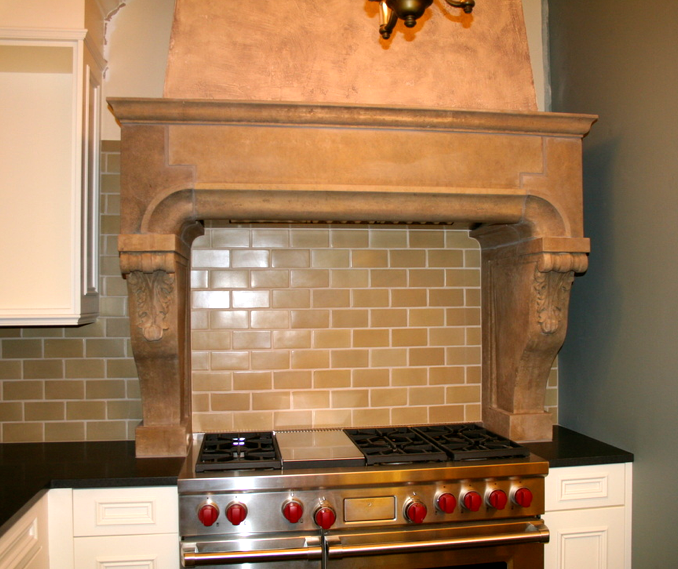 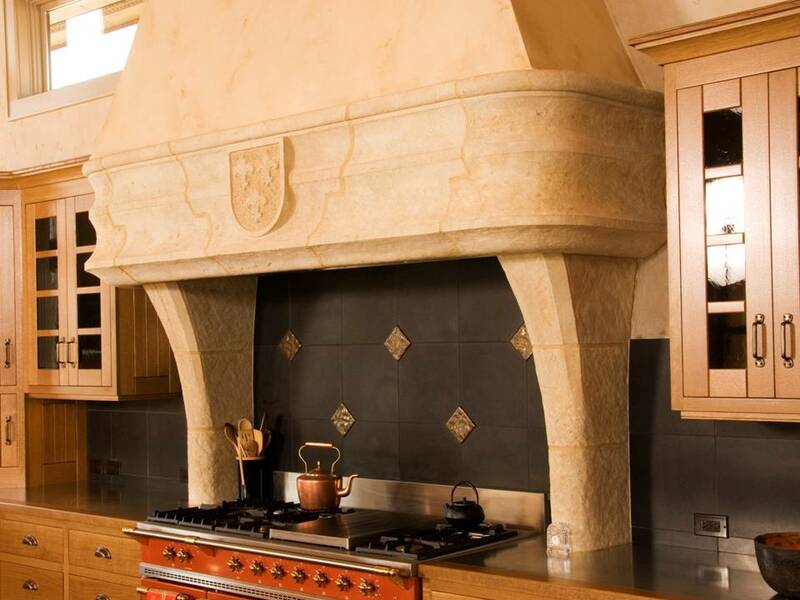 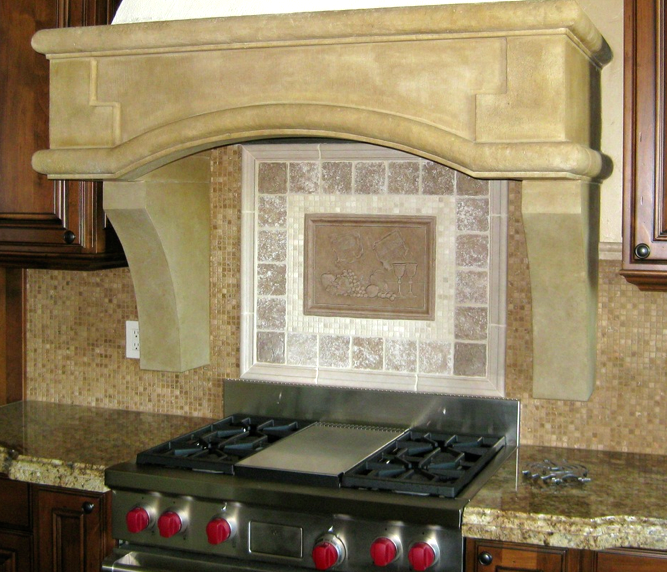 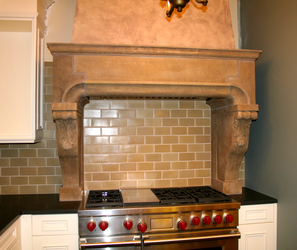 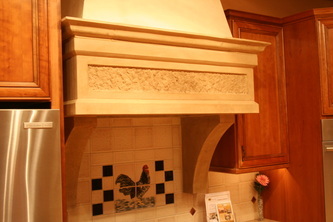 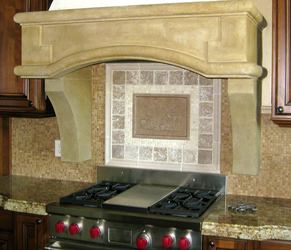 You certainly don't need to be a chef to appreciate the luxury of a hand-carved limestone range hood. 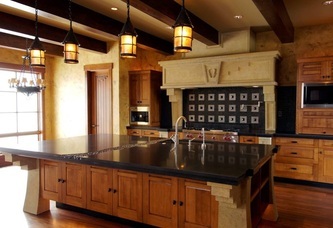 However, just possibly, this dramatic setting might inspire even the most jaded cook to spice up the menu! To see a larger image, click on first photo, then use arrow key to navigate between images.